With the big day tomorrow, I figured I would finish up my Valentine inspired outfit series with a casual Valentines Day look! 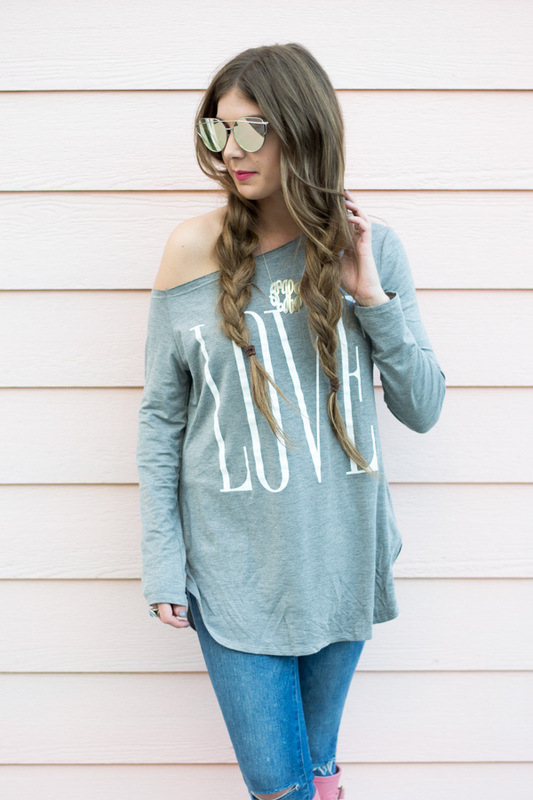 This graphic tee from Jack & Monroe is the perfect top for a comfy, casual Valentines Day look! And now for a special Valentine's Day surprise! You can take 20% off your Jack & Monroe order by using my discount code, CINDERELLA20, at checkout! I love this look so much! Those pink hunters are the cutest! I'd love a pair for myself! This looks so cozy and you know, I'm all about cozy. Love those pink Hunter's too! I have the same ones in red and never seem to wear them, wish I would've gotten pink! I love the adorable Hunter boots, what a fun color! Love your casual outfit! oh my gosh those pink Hunters!! I'm in love! 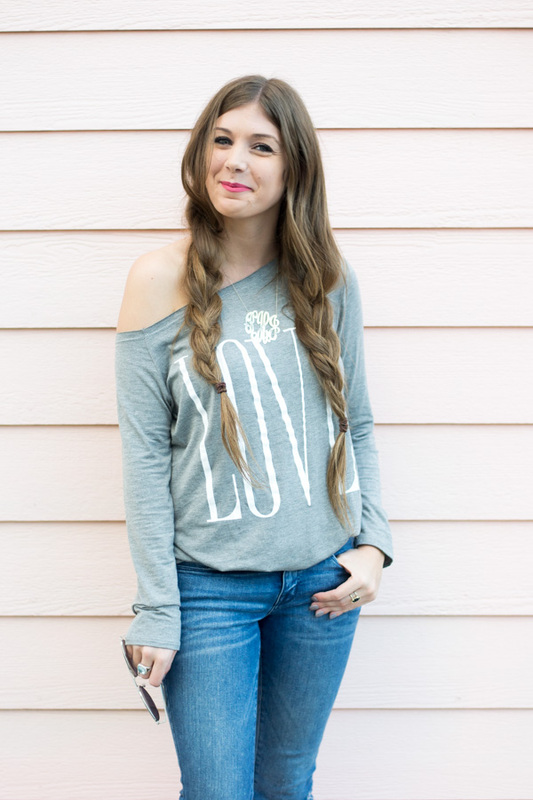 What a fun and comfy Valentines look! I love your pink Hunters! So very cute! I almost bought a similar one but in red. Now I wish I did! I love that top and those boots! This is such a great casual look! I love the whole outfit, but I LOVE LOVE LOVE the Hunter boots! I have them in glossy red, I didn't even know they came in pink! This is such a cute outfit!! 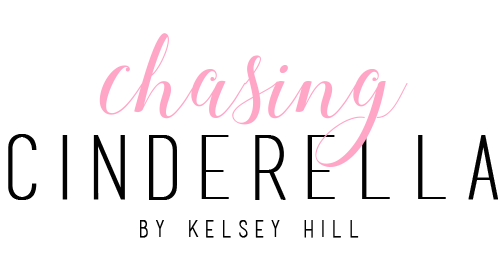 The pink hunters are what takes it to the next level! I also need that top!! That's so cute!! You look adorable! Love that top. I love Hunter boots! I have always seen the green ones, but I think I may have to purchase the pink ones now. Beautiful look! You look so pretty. Love your hair. 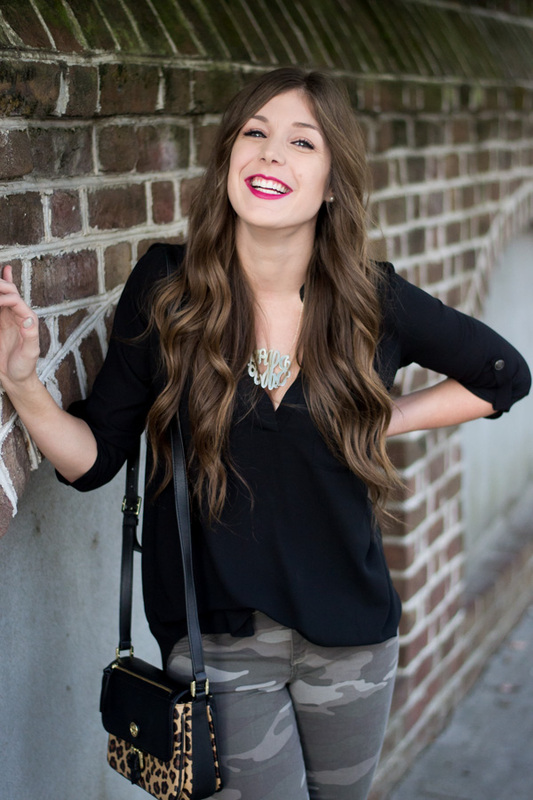 What a fun casual look for Valentine's Day! Totally something I would wear during the afternoon before getting ready for my date night! So cute! Adorable! My V-Day look is sweat pants! haha I like the tee tucked into the jeans too! how cute are you?! I loved how you styled those boots with that top, so adorable! I adore your posts! Those rain boots are too cute! I love the way you braided your hair too! Love the Pink Hunters!! SO cute! You look so beautiful! I love the boots and the oversized sweatheart! Love the pink Hunters! Will you be my Valentine, hehe? love the casual look and those cute hunter boots. Such a cute look! 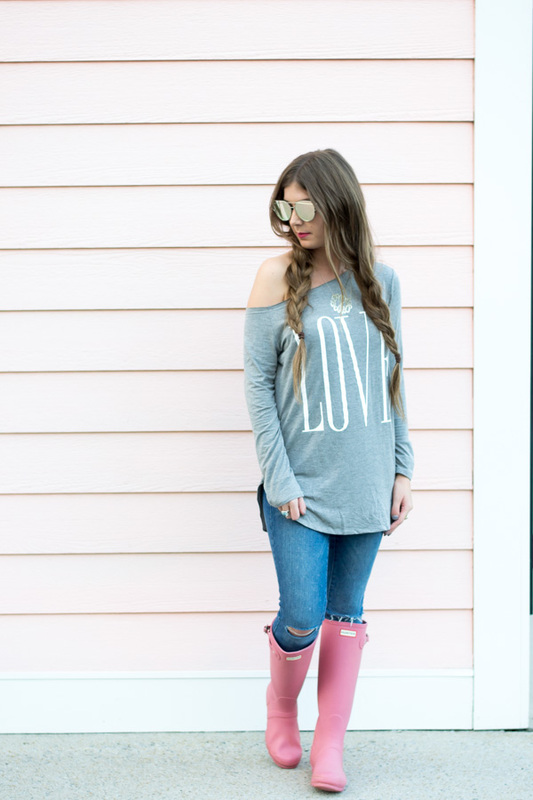 Love the pop of pink in the boots! Adorable! Love the pink boots!